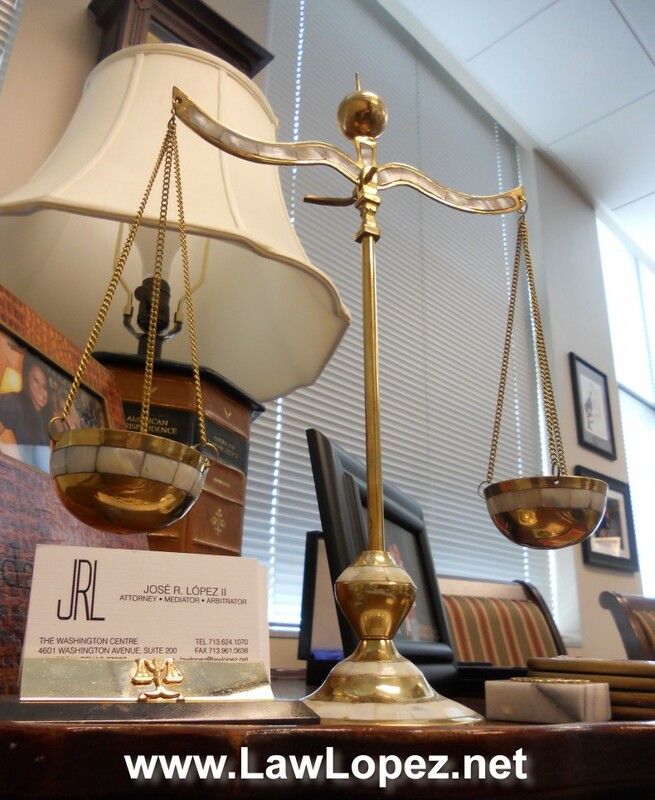 The Law Office of Jose R. Lopez II is launching a blog and we are excited to create a platform to help people stay informed and make better decisions. If you need legal advice call us today for a free consultation at 713-624-1070. From a young age, Mr. Lopez was taught by his parents that hard work and determination were important to succeed in life. Mr. Lopez’ , grew up in a traditional family who knew the importance of education and a Christian background. Mr. Lopez attended Holy Name, went to St. Thomas High School eventually graduating from St. Mary’s University in San Antonio, Texas. Upon graduation he was recruited to work with Colgate-Palmolive and then attended South Texas College of Law. While in law school he interned at a law firm where he took depositions and tried cases with his third year bar card. He has practiced as a civil litigator since graduation. He is also a mediator and arbitrator. As a Spanish-speaking mediator he has been very effective in helping to resolve cases.